After 3 days of crazy good CS:GO we’ve come to the point where all teams for New Champions stage are known. Sixteen teams were battling for 3 wins in order to progress but only 8 teams can advance while other 8 will have to pack their bags and go home. We’ve seen multiple unexpected teams getting wins on days one and two but only one stands out – compLexity. They were first team to get perfect 3-0 score and advance to New Champions stage. 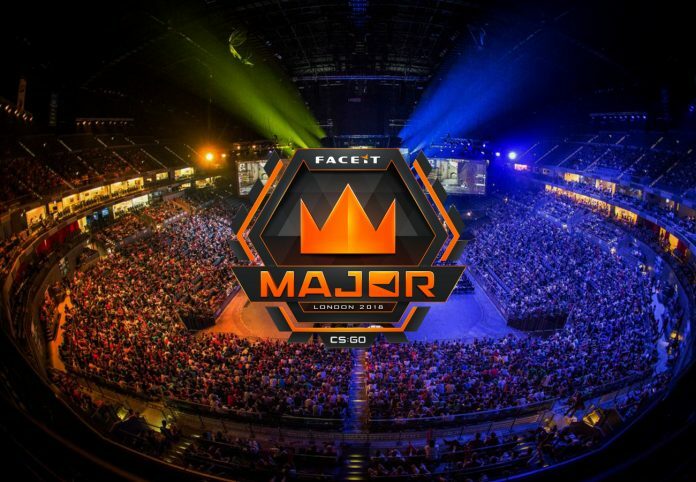 They’ve bested likes of fnatic, G2 and BIG which is quite surprising as this is their first major as a team. Besides compLexity only unexpected team that reached top 8 are HellRaisers. They are usually fighting for top8 but rarely succeed. This time they came prepared well and showed that on the battlefield. On their way to top8 and guaranteed spot in next major were Cloud9, Tyloo and Fantic. Other 6 teams are quite expected to be here so we wont mentioned too much about their path. Team Liquid, Astralis, Natus Vincere and BiG had solid 3-1 score and without much effort/trouble advanced on wards. Teams that were struggling to get their spot and LEGENDS status are FaZe and MIBR. Playoffs will start on Thursday 20th September 2018 at 16:15 CET. All matches will be played as best of 3 so there is a lot of good CS to come! Other two matches of playoffs will be held on 21st of September 2018 starting from 17:15 CET.